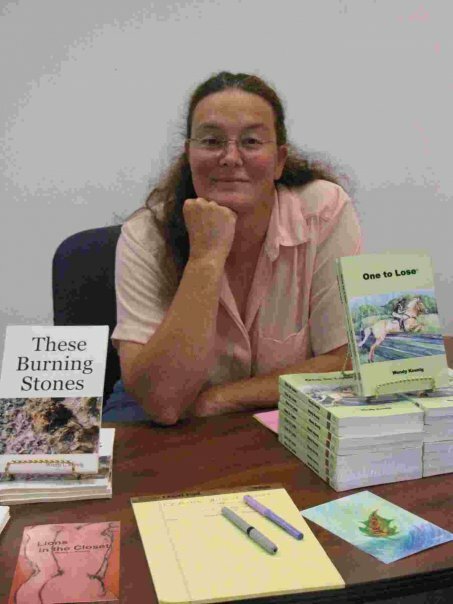 Wendy is a published author living in New Brunswick, Canada, with her husband, Vince, and two cats named after the Blues Brothers, Jake and Elwood. She was born in Colorado, but raised on a small homestead in Illinois. Wendy has been writing since a young child, filling spirals with poetry and short stories. Entering the USAF, she continued writing. It wasn’t until after the military, when she moved back to Illinois, that she began working on novels. It was also there that she began seeking publication. Her first piece to be printed was a short children’s fiction, Jet’s Stormy Adventure, serialized in The Illinois Horse Network. She attended University of Iowa, honing her craft in their famed summer workshops and writing programs. Since that time, she has published and co-authored numerous books. Several of her novels and short stories have won international awards and have appeared in multiple venues.